Is it like this one Tony? Could those letters read P S D ? 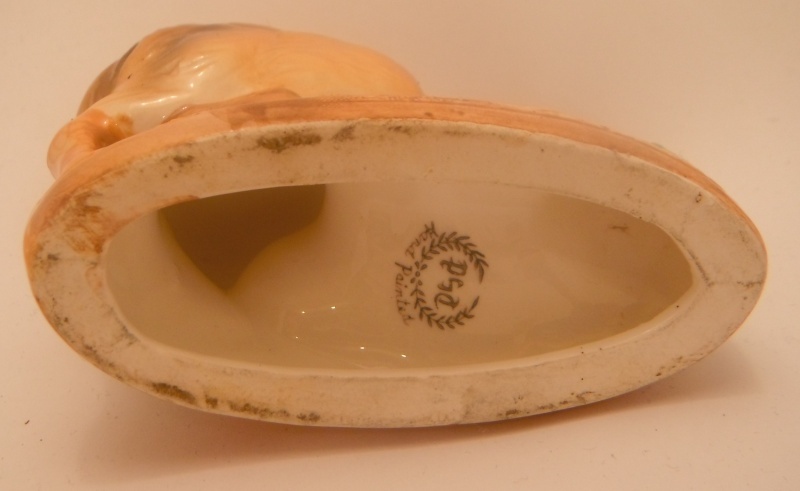 It looks more like "P S h" in the flesh and I think the laurel leaves are often in Noritake backstamps of which there seem to be many? I'm still pondering about this backstamp and have done some computer magic with it. I guess it goes this way up .... the same way as the words Hand Painted ...? 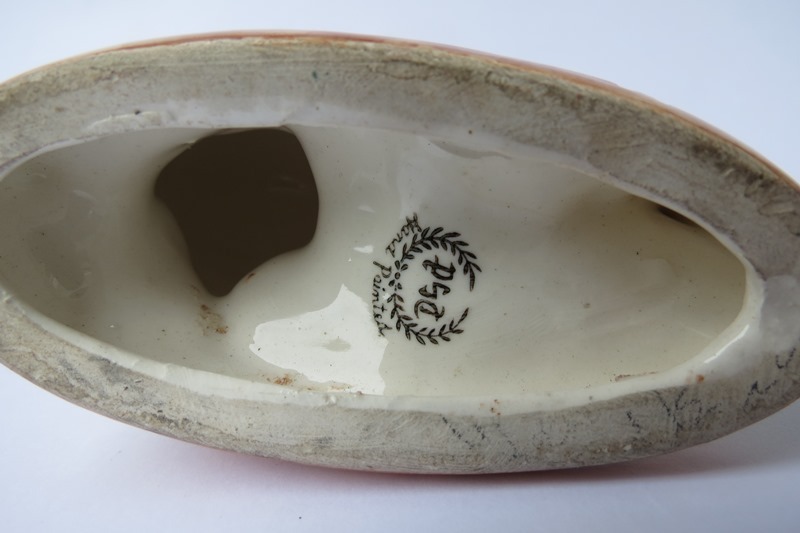 They are very distinctive with the little fern spill vase at the end. It could be a 156 or a 165 ....? 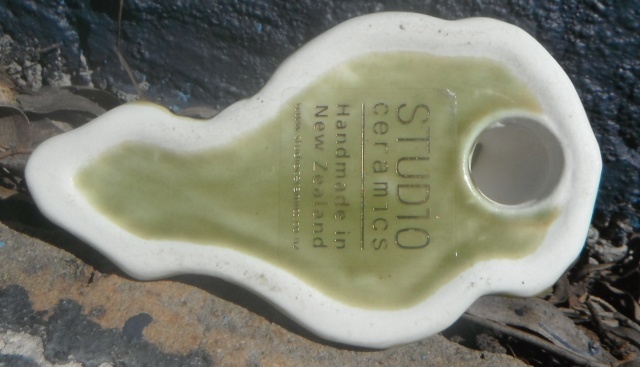 Tony that Studio Ceramics kiwi looks very much like the drawing of the Crown Lynn kiwi that is in the Modellers book. Do you still have it or photos of it and the base? 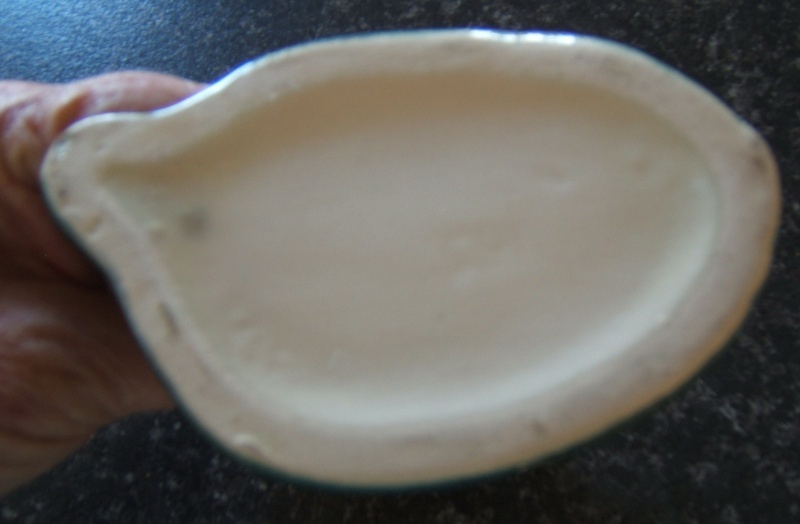 The glaze has a pearlescent quality which confuses my camera in bright sunlight. I'll keep trying. Does this base remind you of Crown Lynn animal bases sunny? That is ... closed with a hole. Yes Ev, it does. 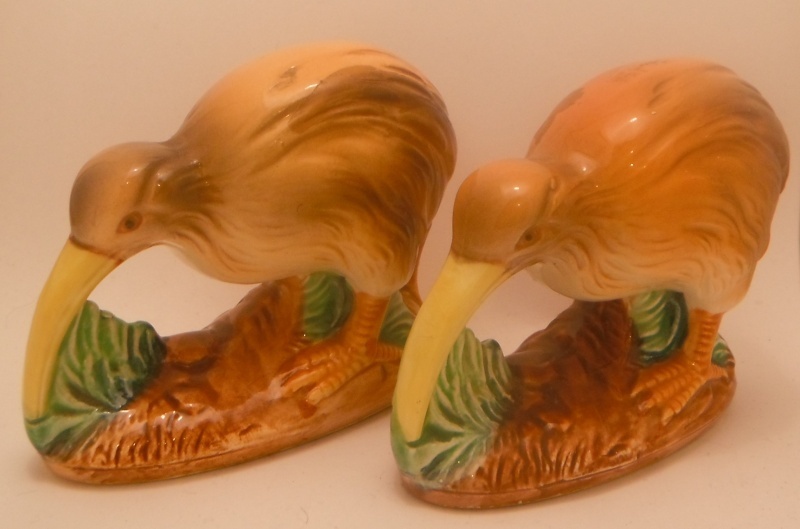 Although I noted that the kiwi vases 156 & 165 have no hole for some reason, so not sure what the kiwi will have until we find one. Here is a pic of the 165, laying dog and deer, and their bases. Hi there, for years I have been trying to find out if my frog money box was crown Lynn and found an old post of yours with a photo of one just like mine in a tuxedo. Can you tell me anything about it please. I was intending to sell him at some stage but have no idea of what to start him at. He is in beautiful condition, but I need to scale down a lot of my collections. Any help you can give me would be appreciated thank you. Hello Goldielocks, and welcome to the site !! The frog and the kiwi seem to sell for around the same amounts. 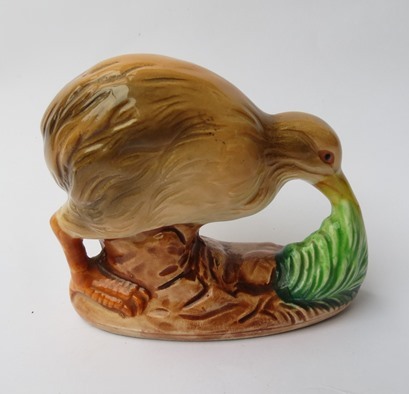 There is a kiwi listed at the momenthttp://www.trademe.co.nz/pottery-glass/porcelain-pottery/crown-lynn/other/auction-841677223.htm but it has been on for a wee while. Good luck with your sale. Thank you mumof1 do you know the year it was made, I did read somewhere a few years back that they were not kermit the mupet frog but another with similar name. 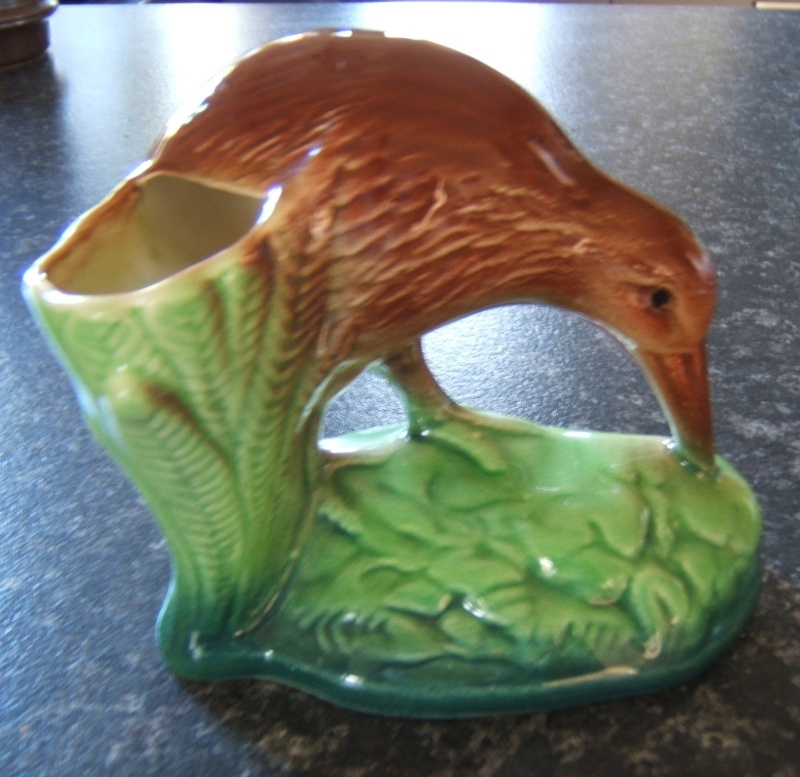 My guess is that the Frog and the Kiwi money boxes were made in the mid to late 1980's. 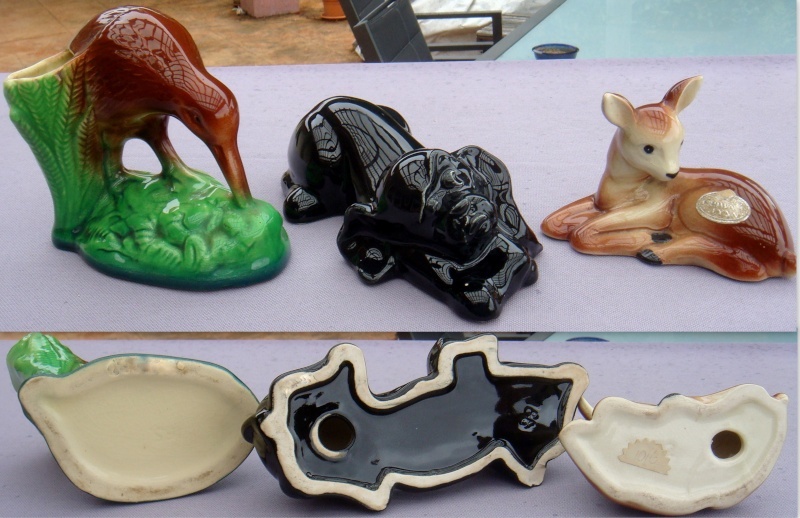 As we haven't found the records for these yet, we don't know what the description says, but hopefully the Portage Ceramic Museum in New Lynn has this information. 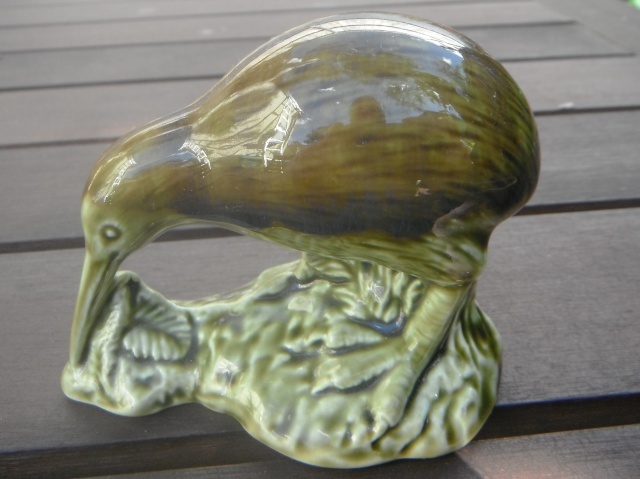 I've just had confirmation from an ex Crown Lynn employee that this is the Crown Lynn Kiwi, although the Crown Lynn Kiwi will be a third bigger than the Studio Ceramics one. Can you add measurements please Tony ....? Now we need to find a Crown Lynn one! 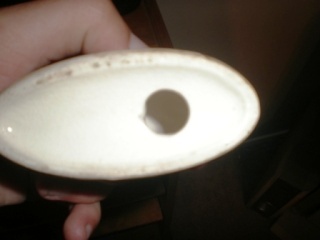 The base is 98mm at its longest measurement and 56mm at its widest. It's about 75mm at its highest point. TonyK wrote: It's about 75mm at its highest point. 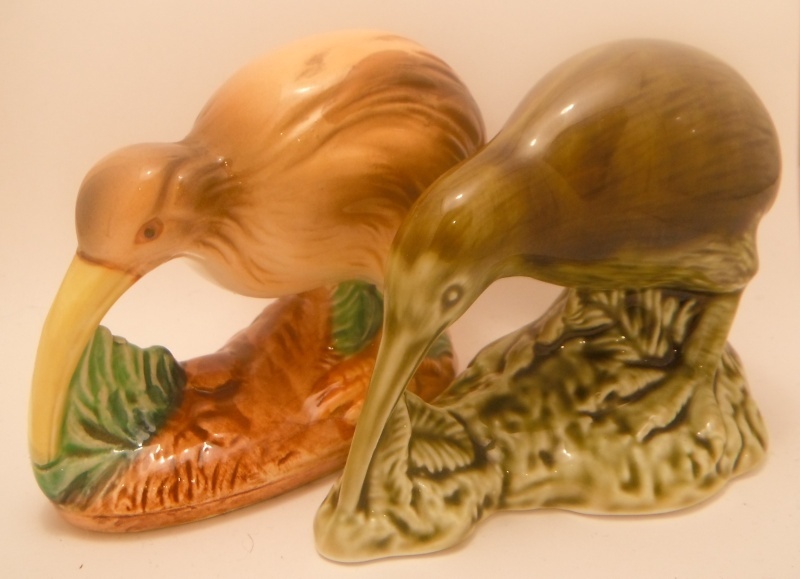 The Crown Lynn Kiwi is 100mm or 10cm high so there is the difference in size. 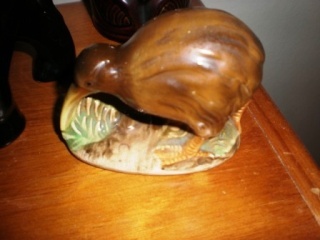 I haven't seen this Kiwi on Trademe, but they have to be out there. Thank you Eve. I did read something a few years ago about it being called kermit, they made special mention that it wasn't the muppet kermit. I can't for the life of me remember where I read it.